“The King and I” | Kid Reporters' Notebook | Scholastic Inc.
“Being an actor requires serious persistence,” says 13-year-old Jake Lucas. 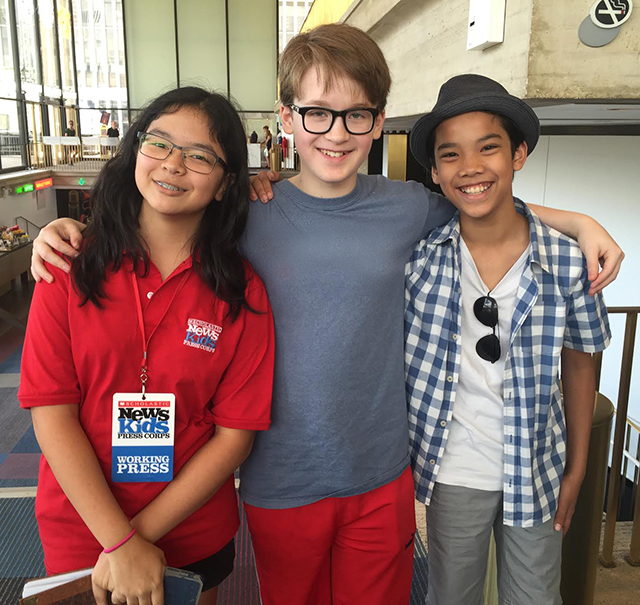 Jake is currently starring in The King and I at Lincoln Center in New York City. The musical, which first premiered on Broadway in 1951, is based on the story of a Welsh schoolteacher who traveled to Siam in the early 1860s to teach the king’s children. In the new Lincoln Center production, Jake plays Louis, the schoolteacher’s son. He is among 13 actors in the cast who are under the age of 15. I recently caught up with Jake and some of his fellow cast members to ask about their lives on and off the stage. When the kids first started rehearsing for the musical, which opened in April, they focused on schoolwork each day. They also learned about the history and culture of Siam, a kingdom in Southeast Asia that is now known as Thailand. Next came learning songs and dances and memorizing lines of dialogue. When the young actors are not on stage, they can usually be found doing homework, watching YouTube, or playing video games. “Being in a Broadway show is amazing,” says 12-year-old Amaya Braganza, who plays one of the king’s daughters. “It’s a lot of hard work, but it’s also a lot of fun.” Her sister, Adriana, 8, is also in the show.